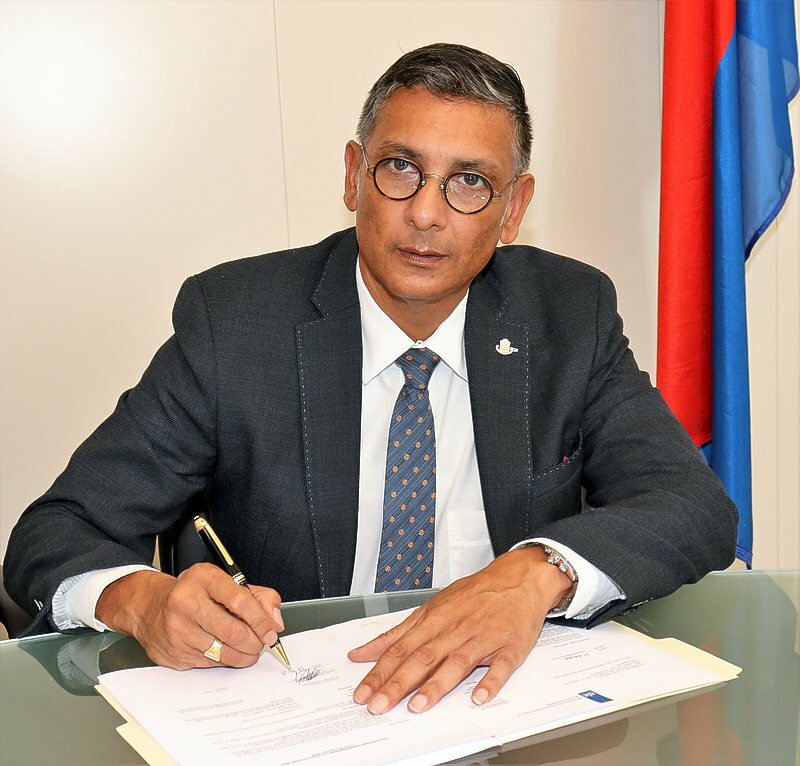 PHILIPSBURG–The United St. Maarten Party (UP Party) board has fingered Finance Minister Perry Geerlings as the leaker of information about a recent meeting between government and bondholders of Princess Juliana International Airport. The opposition party board statement comes after Prime Minister Leona Romeo-Marlin has called on the National Detectives to investigate the source/s of continuous leaks of confidential information from within the government. The investigation is a cover up of government’s “failure at negotiating” with the Dutch government. “Now, to cover that up or to try and deviate, the prime minister commissions an investigation into trying to find a leak,” said the party board. The prime minister “is doing her already low reputation with the civil service no favours with such an investigation and wasting precious time and resources,” said the party board. She “has avoided pertinent questions” and “is not telling the public about roofs … recovery or about the airport … but, finds the time to start an investigation about a leak of information she should be sharing anyway,” said the party board.